Countless wars have been fought over religion, but on one point, major religions agree: Nothing beats roast lamb when it comes time to end the religious fast. 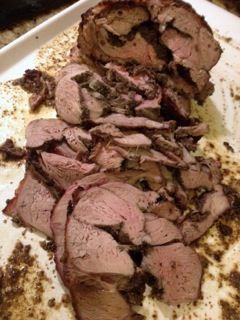 Above is the boned, spit-roasted leg of lamb we made recently for Passover Seder. The stuffing/seasoning? Tapenade, a fragrant paste of black and green olives and capers. 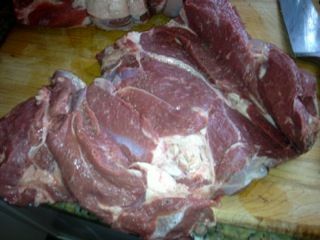 Bone the lamb through the side, or have your butcher do it. 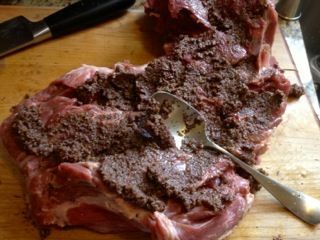 Spread the lamb with tapanade: 8 ounces pitted green and black olives pureed with 2 tablespoons each capers and extra virgin olive oil. Roll the lamb and tie into tight cylinders. 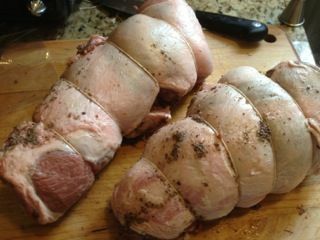 A layer of fat on the outside helps keep the meat moist during roasting. 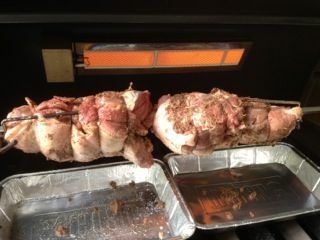 Next, thread the lamb on the spit. 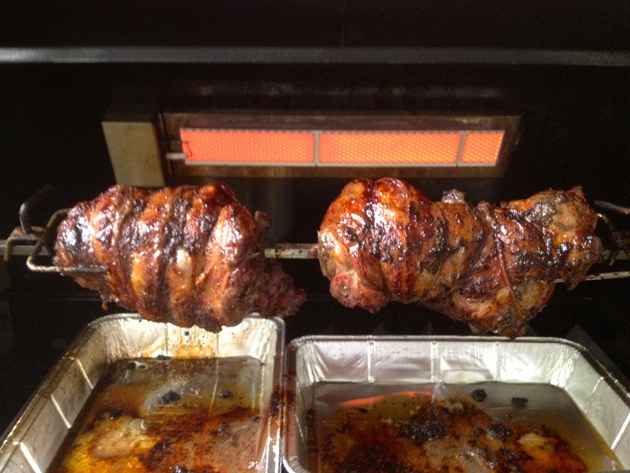 To boost the heat, I’ve lit the outside grill burners so the meat both spit-roasts and indirect grills. This is in addition to the rotisserie burner. Cooking time is about 1-1/4 hours for two 4-pound boned legs. Aim for an internal temperature of 140 degrees. Add 1 cup of good stock to the drip pans to make a jus.